Bio Julie I. Fershtman, a Shareholder with Foster Swift Collins & Smith, PC, is a Fellow of the American College of Equine Attorneys. A lawyer for more than 30 years, she is one of the best known and most experienced Equine Law practitioners in the nation. Crossing all horse breeds and disciplines, she serves a national clientele of stables, professionals, associations, businesses, show management, insurers, trainers, international clinicians, riding instructors, exhibitors, and individual horse owners. She has drafted several hundred equine industry contracts. She has spoken on Equine Law in 29 states at conventions, conferences, expos, and universities. Examples of services provided: Handling breach of contract, fraud/ misrepresentation, commercial code, and other claims involving equine-related transactions such as purchases/sales, leases, and partnerships. Litigating disputes in the courts or through alternative dispute resolution (arbitration, mediation, facilitation). Defending equine industry professionals, businesses, and associations in personal injury litigation. Drafting and negotiating contracts for boarding, training, sales, waivers/releases, leases, and numerous other equine-related transactions. Representing and advising insurance companies on coverage and policy language as well as litigation. Advising equine industry clubs and associations regarding management, rules, bylaws, disputes, and regulations. Representing some of the equine industry's top trainers, competitors, stables, and associations. Counseling industry professionals, stable managers, and individual horse owners. Legal Profession Honors & Awards: - Listed in The Best Lawyers in America, ® 2013-2017 (Commercial Litigation, Insurance) - Honored as "Woman of the Year" for Michigan in 2016 by Michigan Lawyer's Weekly - Named a "Leader in the Law" by Michigan Lawyers Weekly - Named a 2008-2016 "Michigan Super Lawyer"® - Honored as a "Top 50 Woman Lawyer in Michigan" by Super Lawyers 2013 - 2016 - Listed as a "Top 25 Woman Business Lawyer in Michigan" by Super Lawyers 2013 - 2016 - Rated "AV" (highest possible rating) by Martindale-Hubbell (www.martindale.com) Recipient of several prestigious equine industry awards from respected equine organizations. A practitioner since 1986, she graduated from Emory College and Emory Law School. 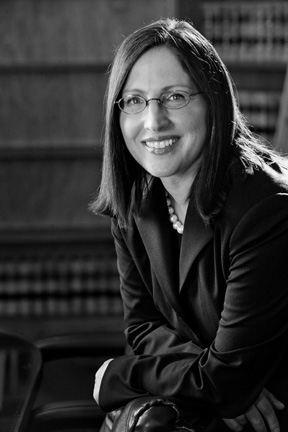 She is a member of the State Bar of Michigan and has been admitted to practice in 17 jurisdictions across the country as special (pro hac vice) counsel on equine cases.